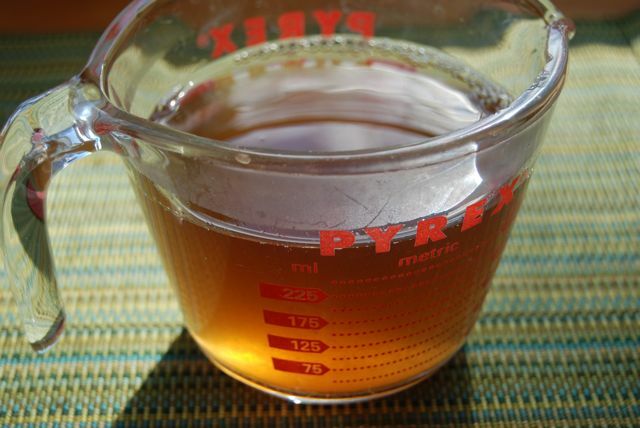 Homemade broth is simple to make, keeps well in the fridge for a week, and can be frozen for up to 3 months. This light and flavorful vegetable stock is a perfect base for soup – and even tastes great as is. The recipe comes courtesy of The International Cookbook for Kids by Matthew Locricchio. And remember, there’s no need to peel the veggies before cooking – just scrub them well. The peel will add additional flavor to the broth. Place all of the ingredients into a stockpot. Bring to a boil over high heat. Once boiling, reduce heat to low and simmer, covered, 1 1/2 hours. Remove any foam that rises to the top of the liquid as it cooks, and discard. Strain through a fine mesh sieve and discard the vegetables. Set stock aside to cool uncovered for 20 minutes. Use immediately, cover and refrigerate, or pour into freezer-safe containers and freeze immediately. This entry was posted in Soup, Vegan or Vegan Adaptable, Vegetarian. Bookmark the permalink. Pingback: The Daily Dish » Blog Archive » What’s coming up next?